Obviously, the first thing they’ll be able to test is the vehicle itself and its MIT-developed propulsion engines — flying a spacecraft made out of three 26 1/2-pound Cubesat satellites is their biggest challenge, after all. 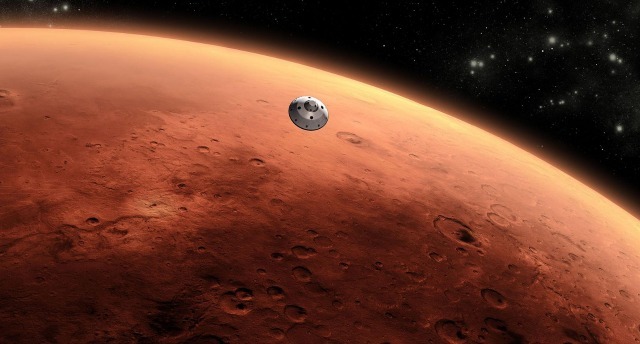 If and when the vehicle lands on Mars, then the group can start testing a deep space internet system and quartz storage technology, which has the potential to store terabytes of data for millions of years. Also, they plan to perform experiments for a field of study that deals with ensuring astronauts’ good health during lengthy flights for future deep space exploration. Since this is such a huge project (it’ll cost roughly $25 million to pull off), the students are working with a number of organizations, including NASA, and advisers like Buzz Aldrin. They’re in charge of developing every aspect, though, from spacecraft design and controls to flight communications. If everything goes as planned, the Time Capsule to Mars spacecraft will blast off in 2017 carrying messages from humanity.